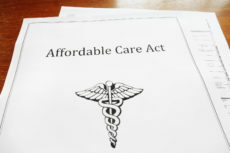 Before the Affordable Care Act passed in March 2010, President Obama repeatedly promised that the typical family’s health premiums would go down by $2,500 after implementing the expansion of health insurance we label Obamacare. Nothing of the sort has happened, of course. For the past few years, prices and spending have appeared moderate by historical standards. However, that is largely because they are reported in nominal terms, not real (inflation-adjusted) terms. From the Great Recession until very recently, general measures of inflation were about zero. An increase of premiums of eight percent when general measures of inflation are about zero is a lot more than an increase of eight percent when general measures of inflation are about three percent. The vanity of Obamacare was that more central planning would reduce wasteful use of resources through “value-based” and “accountable” care. In fact, demand for health services by the privately insured will shrink only because prices outpace our ability to pay for them as government weighs down our prosperity.